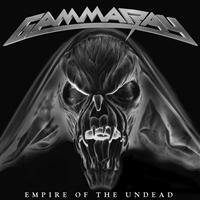 GAMMA RAY returns with their eleventh outing, and quite a catchy one at that! Their previous album “To the Metal” actually brought them the most chart success ever, and they are of cause keen to follow up on that. The album was recorded in sessions during 2013, and yes, there is still the characteristics of “Mr. HELLOWEEN”...Kai Hansen. He is backed by guitarist/keyboard player Henjo Richter, bass man Dirk Schlächter, and drummer Michael Ehré. The lengthy epic “Avalon” opens the album. It has a touch of SABATON, but it is still an entertaining 9.22 minutes. Typically Teutonic is the phrase here, RUNNING WILD, ACCEPT, AXXIS all echo in songs like “Hellbent”, “Pale Rider” and “Born to Fly”. It is also catchy, cosy, and even with a whiff of the NWOBHM as in the title track. Highlights are the title track, the presumed live favourite “Master of Confusion”, “Avalon” and the heavy and melodic “I Will Return”. Which is no doubt what this band will do again with a brand new album in about 12 to 18 months!